*Brooklyn is a haven for some of the most creative people in the world. Though it’s just a matter of opinion, hip hop greats like the Notorious B.I.G. and Jay-Z, both hailing from the indomitable BK, are some of the most lyrical artists ever to bless our eardrums. But also there’s Spike Lee, Wesley Snipes, and so many others who have set their foundation in this creative space, whether they’ve migrated to the city or were born and raised. There’s a magic about Brooklyn that nurtures the visionaries. Niki Zoë Vickers, a relatively new Brooklynite, is one of those who became enchanted by the city’s spell. After working in corporate America, making good money, she decided to leave the monotony and pursue her dream as a stylist, which landed her in New York. Oddly enough, it was grandma’s style, class and shopping habits that inspired Zoë from her youth. “I even had people copying my whole style in high school and college. They’d say ‘Zoë may be kind of a nerd, but she definitely knows how to style herself. It’s always been in me,” she says. 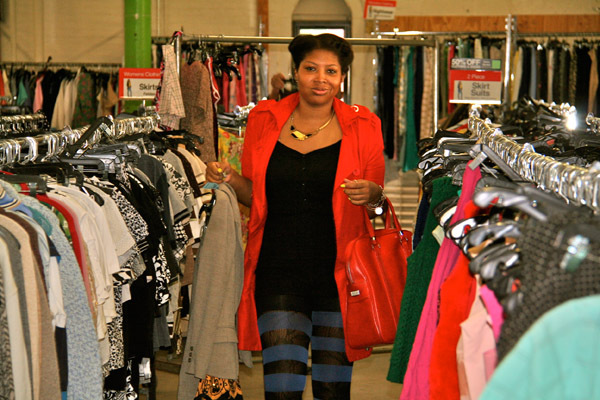 Preparing for her transition from blazers and button ups to stylish flats and colorful ensembles, Zoë established a network of stylists and fashion experts in New York. Being in a place where the weary don’t sleep and the hustlers hustle the hardest, Zoë was grinding, researching and networking to prepare for the change. The Cool Kids were her first celebrity gig, but beams excitement when talking about working with one of her faves, Wiz Khalifa. From there, her career began to flourish. Working as an assistant stylist dressing Samuel L. Jackson for a magazine cover shoot has been one of her fondest memories so far. Though still a rookie in the industry, Zoë has managed to make her mark and establish her style identity. In love with timeless pieces and high-end knick-knacks, the visionary embraces an eclectic style – bright colors, mismatched pairings, funky tights and furry vests. Besides looking great, setting the tone, and standing out, she is a supporter of all creatives, frequently wearing designs by emerging artists. She’s also a founding member of Brooklyn based collective, Indigo Hippie CO, a group of Brooklynites doing their thing for the love of imagination. From artists of a traditional kind, to those supporting grass roots movements, they come together, plan events and support the community through art. The group was recently given a grant to help better the Bed Stuy neighborhood by sprinkling bike racks on various streets. Eventually the ‘hippies’ would like to set up a brick and mortar afterschool spot for children, where local kids will receive enhancement through the arts. Zoë is on the move. The stylist is not only sharing her talents with her cohorts, but she is also getting ready to launch an event series that will incorporate photography, fashion and everything creative this summer. Visit her website to learn more at www.whyzoe.com. Check out Zoë’s fashion travel tips here.